The technologically designed Hydel Power Plant equipment is ideally used in hydro-electric power plants. These equipments are technologically developed from the genuine quality raw material and help in converting steam energy to electrical energy. This equipment include suction cone, spiral casing and draft tube bends. These are used in major hydro plants and are result oriented. These possess to be having long service life and supreme tensile strength in them with variant capacity level as per the requirement of our clients. 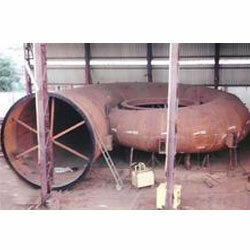 We are engaged in offering finest range of Suction Cone that is used in hyder power plants. 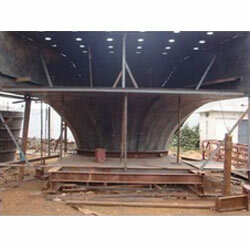 This cone has the variant capacity that can be customized as per the demand of our clients. We make these cones by using superb combination of metal alloy and advance technology to blend with dimensional precision and supreme efficiency. With the help of technological advancement, our firm is able to develop supreme range of Draft Tube Bend that is used for giving the change of direction for the water flow. These are built with supreme metal alloy that provides robustness and superior tensile capacity. These can be easy installed, without any possibility of leakage and with coating that assured the body remains rust proof. It allows the flow of water to change its course with less complication and the width and length can be customized as per the requirement of the customers. We offer quality proven range of Spiral Casing that is used to achieve the equal distribution of the water around the stay vanes. We use finest metal alloy with supreme tensile strength, which can handle high water pressure inside the body and genuine stay vanes that keeps the spiral casing together. 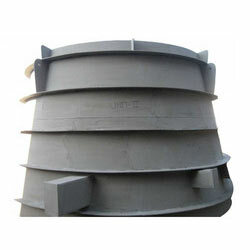 The dimension of our Spiral casing is precise and developed under the guidance of experienced professionals, who ensured that there is no disturbance by vanes.